Accountability, transparency and responsibility have transformed debates about legitimacy across Africa. This panel examines how social relationships and moralities have been shaped by these three concepts that have come to influence politics and the economy in Africa and beyond. Ideas and practices of accountability, transparency and responsibility have transformed debates on legitimacy across the African continent. Since the 1990s transparency and accountability have become paradigmatic in the economic and financial fields. Similarly, there has also been a rise in discourses about the fight against corruption, organised crime and international war crimes. This panel examines how social relationships and moralities across the continent have responded to and shaped interventions that promote accountability, transparency and responsibility. They are both, disrupting established networks and practices as well as creating new connections. These three key concepts originate in the financial, economic and legal domains but have come to influence debates about legitimacy in politics and the economy more broadly. 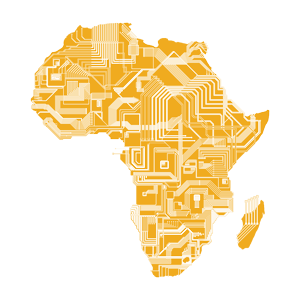 This panel invites fine-grained empirical case studies that offer insights into questions of legitimacy by tracking the movement of ideas and practices across different sites and arenas on the African continent and beyond. Specifically, we are keen to explore debates about accountability and transparency in the economic and political spheres, national and transnational financial regimes, and the importance of accountability and criminal responsibility in the global discourse on legal order and anti-corruption. This approach recognizes the multifarious ways in which institutions in Africa such as government, the judiciary, private companies, banks, and non-governmental organisations are situated within a wider interconnected world where ideas, people, goods and money move rapidly across national borders and continents.